Satellites can bring a digital signal to places where the Internet seems like a miracle: off-the-grid desert solar farms, the Arctic or an aircraft carrier at sea. But in beaming data to and from the world's most remote places, satellite Internet may also offer its signal to a less benign recipient: any digital miscreant within thousands of miles. In a presentation at the Black Hat security conference in Arlington, Va., Tuesday, Spanish cybersecurity researcher Leonardo Nve presented a variety of tricks for gaining access to and exploiting satellite Internet connections. Using less than $75 in tools, Nve, a researcher with security firm S21Sec, says that he can intercept Digital Video Broadcast (DVB) signals to get free high-speed Internet. And while that's not a particularly new trick--hackers have long been able to intercept satellite TV or other sky-borne signals--Nve also went a step further, describing how he was able to use satellite signals to anonymize his Internet connection, gain access to private networks and even intercept satellite Internet users' requests for Web pages and replace them with spoofed sites. "What's interesting about this is that it's very, very easy," says Nve. "Anyone can do it: phishers or Chinese hackers … it's like a very big Wi-Fi network that's easy to access." In a penetration test on a client's network, Nve used a Skystar 2 PCI satellite receiver card, a piece of hardware that can be bought on eBay ( EBAY - news - people ) for $30 or less, along with open source Linux DVB software applications and the network data analysis or "sniffing" tool Wireshark. Exploiting that signal, Nve says he was able to impersonate any user connecting to the Internet via satellite, effectively creating a high-speed, untraceable anonymous Internet connection that that can be used for nefarious online activities. Nve also reversed the trick, impersonating Web sites that a satellite user is attempting to visit by intercepting a Domain Name System (DNS) request--a request for an Internet service provider (ISP) to convert a spelled out Web site name into the numerical IP address where it's stored--and sending back an answer faster than the ISP. That allows him to replace a Web site that a user navigates to directly with a site of his choosing, creating the potential for undetectable cybercrime sites that steal passwords or installs malicious software. In his tests on the client's network, Nve says he was also able to hijack signals using GRE or TCP protocols that enterprises use to communicate between PCs and servers or between offices, using the connections to gain access to a corporation or government agency's local area network. The Barcelona-based researcher tested his methods on geosynchronous satellites aimed at Europe, Africa and South America. But he says there's little doubt that the same tricks would work on satellites facing North America or anywhere else. What makes his attacks possible, Nve says, is that DVB signals are usually left unencrypted. That lack of simple security, he says, stems from the logistical and legal complications of scrambling the signal, which might make it harder to share data among companies or agencies and--given that a satellite signal covers many countries--could run into red tape surrounding international use of cryptography. "Each [country] can have its own law for crypto," says Nve. "It's easier not to have encryption at the DVB layer." Nve isn't the first to show the vulnerability of supposedly secure satellite connections. John Walker, a British satellite enthusiast, told the BBC in 2002 that he could watch unencrypted NATO video feeds from surveillance sorties in the Balkans. And the same lack of encryption allowed insurgents to hack into the video feed of unmanned U.S. drone planes scouting Afghanistan, the Wall Street Journal reported in December. In fact, the techniques that Nve demonstrated are probably known to other satellite hackers but never publicized, says Jim Geovedi, a satellite security researcher and consultant with the firm Bellua in Indonesia. He compares satellite hacking to early phone hacking or "phreaking," a practice that's not well protected against but performed by only a small number of people worldwide. 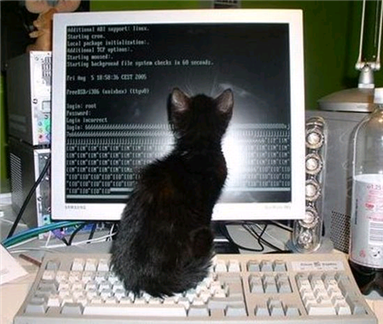 "This satellite hacking thing is still considered blackbox knowledge," he wrote in an e-mail to Forbes. "I believe there are many people out there who conduct similar research. They may have some cool tricks but have kept them secret for ages." At last year's Black Hat D.C. conference, British cybersecurity researcher Adam Laurie demonstrated how he intercepts satellite signals with techniques similar to Nve, using a DreamBox satellite receiver and Wireshark. But Nve argues that his method is far cheaper--Laurie's DreamBox setup cost around $750--and that he's the first to demonstrate satellite signal hijacking rather than mere interception. "I'm not just talking about watching TV," says Nve. "I'm talking about doing some very scary things." Twice-a-year communication glitches arrive again. 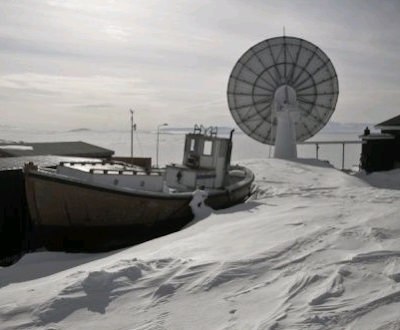 Long distance telephone, internet and satellite television users throughout most of the Arctic will once again suffer short, daily outages due to the twice-a-year sun transit problem. Telesat Canada’s sun transit calculator shows that for Iqaluit, short service interruptions of between eight and 15 minutes will occur every day between Feb. 23 and March 4, around 2:30 p.m. each day. In Nunavik, interference starts Feb. 24 and will occur every day between 3:18 p.m. and 3:26 p.m., Saima Mark, the assistant director of the Kativik Regional Government’s administration department told the KRG council this week. Sun transit interruptions occur when the sun crosses the equator and aligns behind a satellite, overwhelming satellite signals with thermal energy. The phenomenon occurs annually for about two weeks during the spring and fall equinoxes. 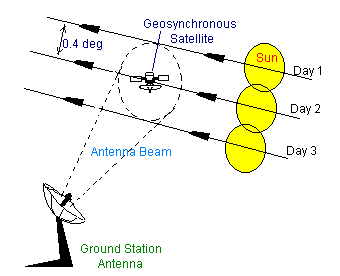 The sun transit problem affects all communication systems carried by satellites, including internet, long distance telephone, television, debit card payment systems and other services. Despite the temporary problems due to the solar transit, workers at the KRG who run the Nunavik’s Tamaani internet service said bandwidth for all users has doubled since the beginning of 2010, and that the minimum speed has increased to 256 kilobits from 128 kilobits. But this is still much less than the two megabytes per second that Quebec wants to see as the minimum standard throughout the province. “We don’t really have high speed internet,” Maggie Emudluk, the chairperson of the KRG. “We are still lagging behind as compared to the south.” This is mainly due to the cost of using satellites for internet communications, which means 30 megabytes of transmission that would cost $65 in the South cost $1.2 million in Nunavik, Emudluk said.